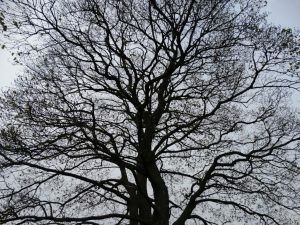 Saturday 7 May. 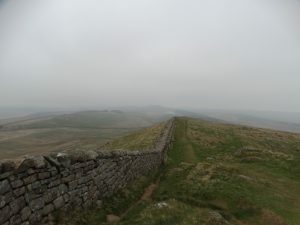 I had written my sermon and decided there was time to hit the Wall for a couple of hours. 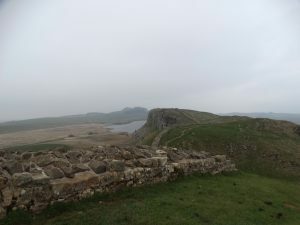 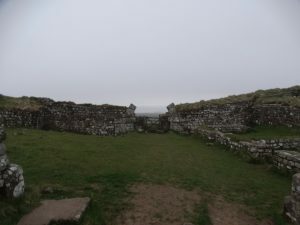 I drove to Housesteads and parked. 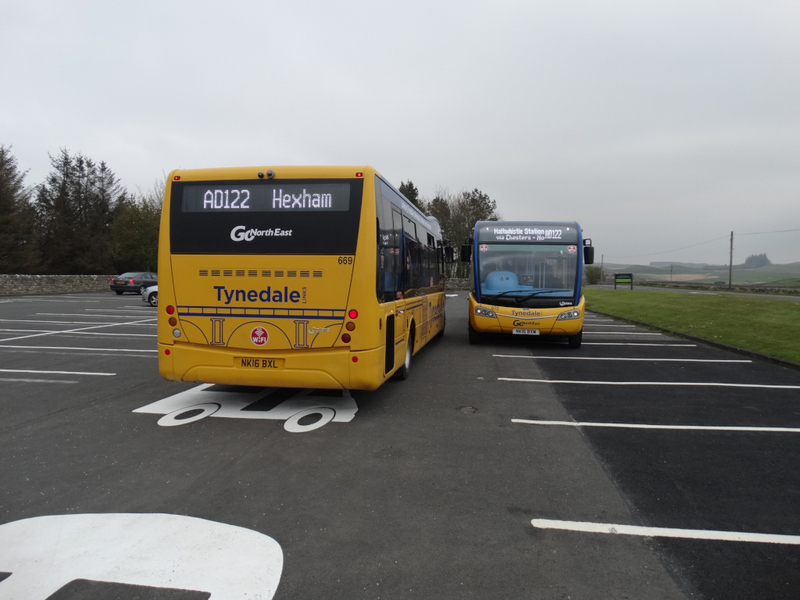 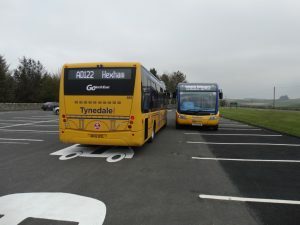 The final AD122 buses of the day arrive together, and I caught the 1739 in the Haltwhistle direction. 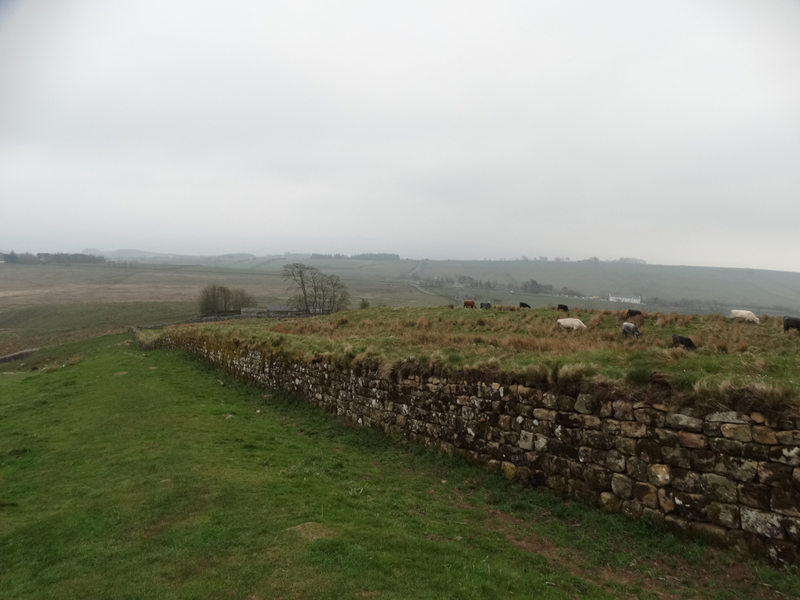 I was the only passenger, but we picked three more up at Vindolanda. 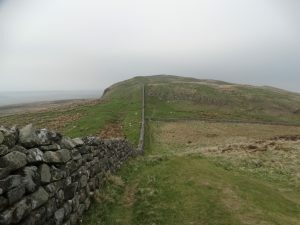 I was dropped on the main road where I ended last time, and walked to the Wall at Shield on the Wall – NY727669. 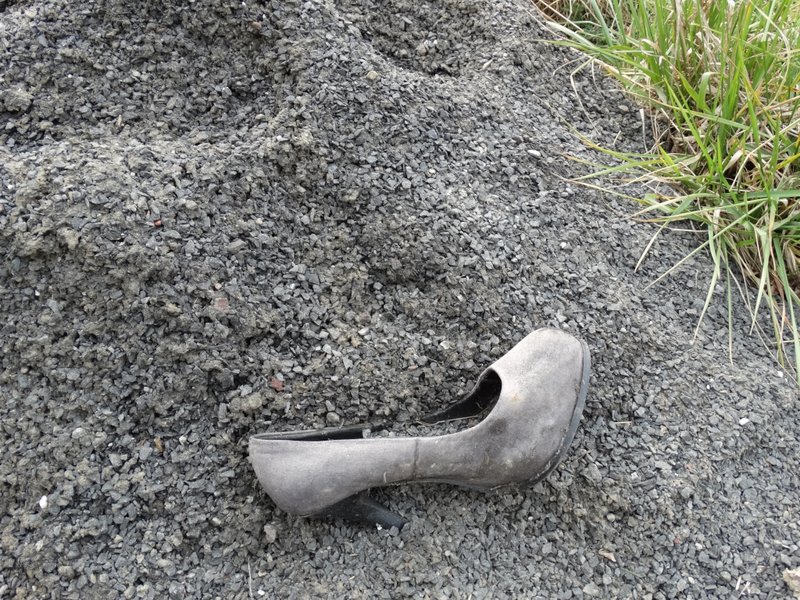 An interesting shoe deposited beside the road – why is it here? I looked back along the route of my last walk. 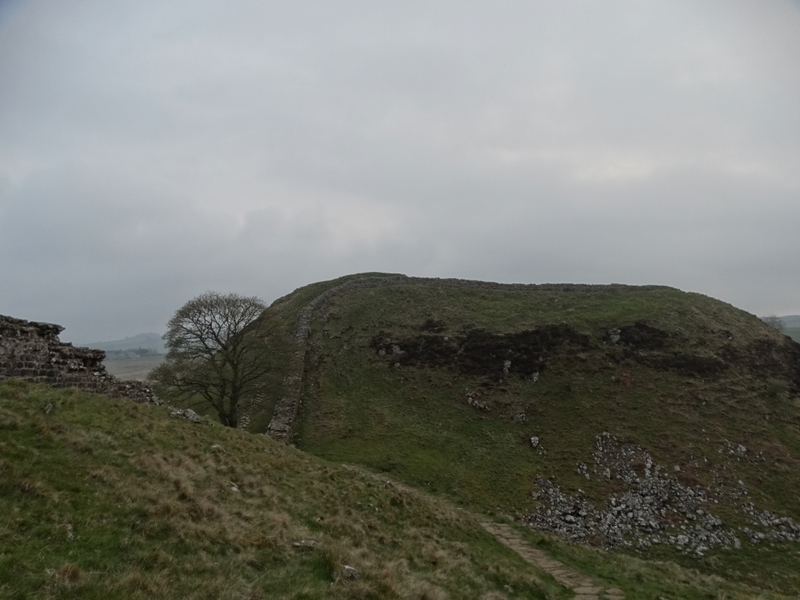 Although it had been a nice sunny day, it was getting grey and colder – fleece and woolly hat is an interesting look. 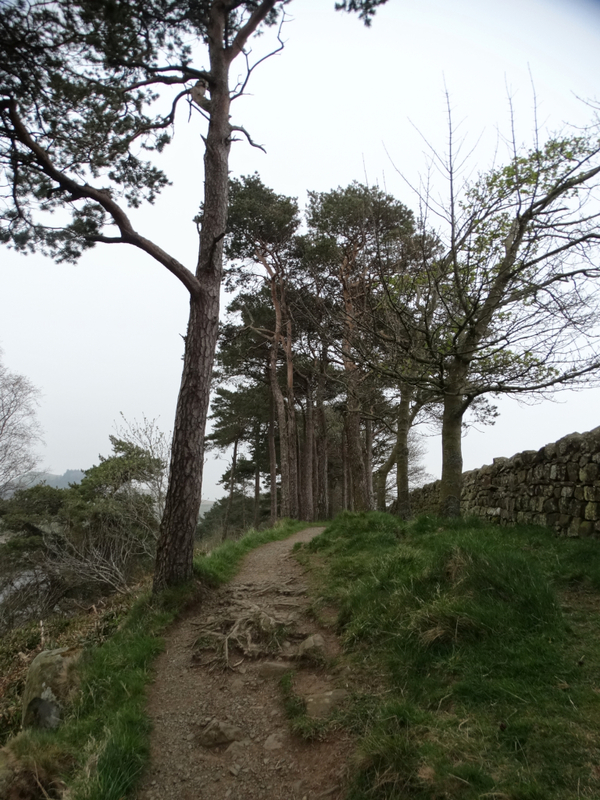 Not many walkers out, though I was passed by a couple of lads wearing kilts (I bet they were even colder than I was). The first bit of the climb takes us up to the highest point on the Wall – the trig point at 345 metres. 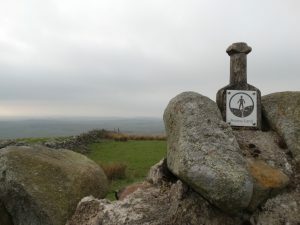 I have just found this website for those who seek to bag all the trig points in Britain (I’ll stick to riding all the passenger railway lines, so much easier!). 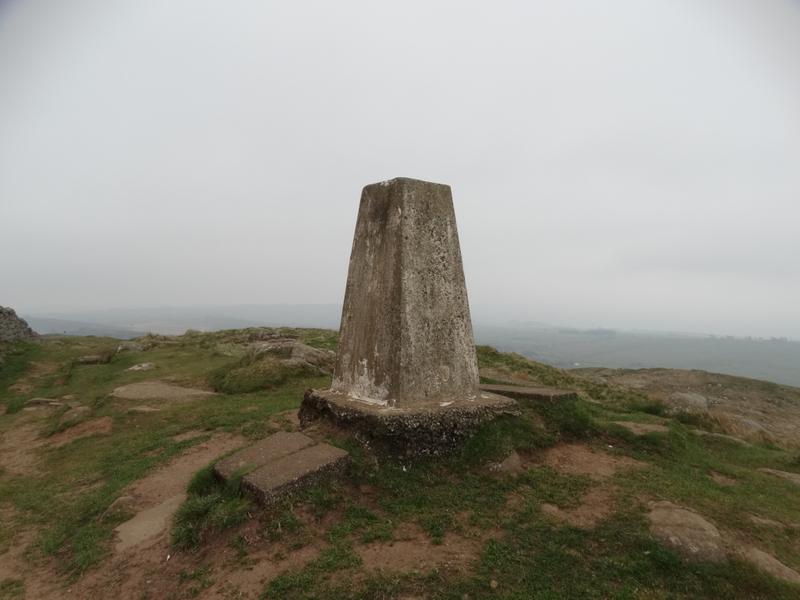 If you want to know what a trig point is, read this. 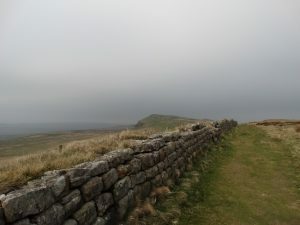 Mr Scoble, my Geography Master at the Cambridge Grammar School of Boys taught me all about them in 1974 – permanent features of the landscape now rendered obsolete by satellites and GPS. 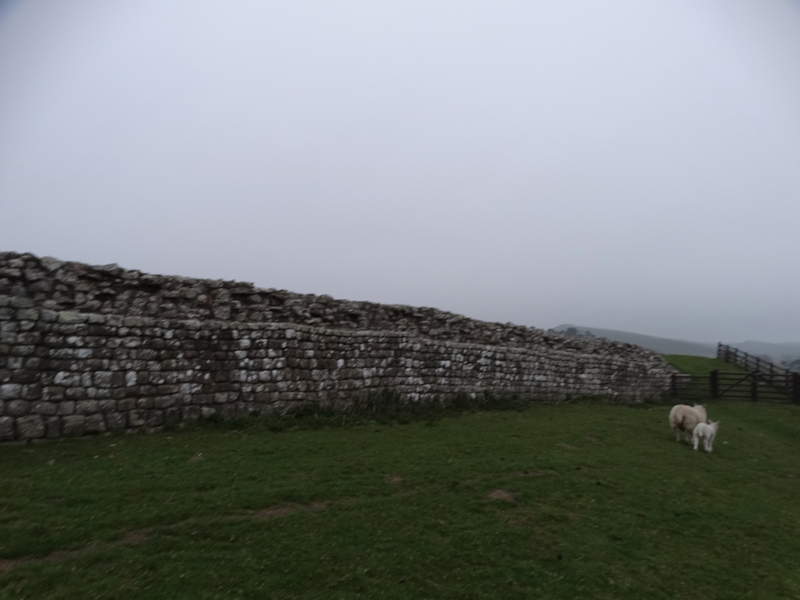 I like my Strava app on my phone and the fact it tells me how far I have walked along this Wall and where I am, but there is something special about concrete and stone. 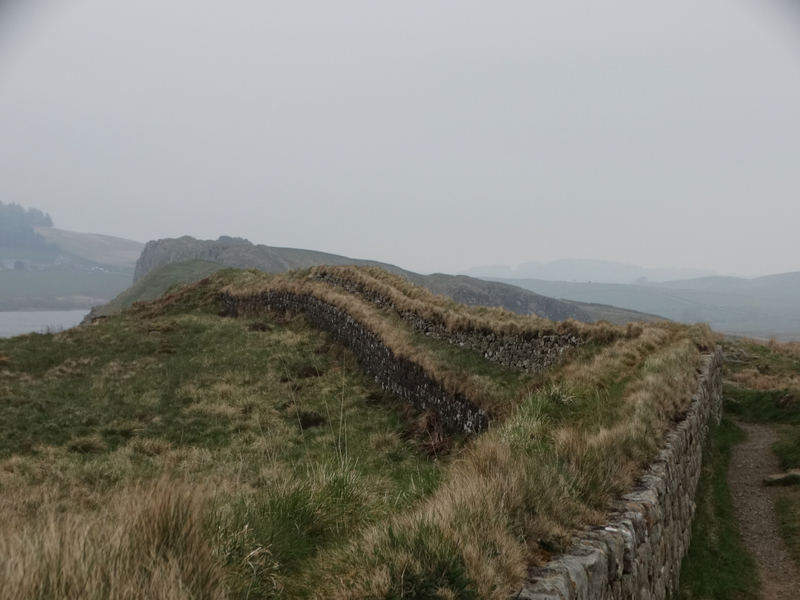 I also like the idea that land north of the Wall is designated “Access Land”. 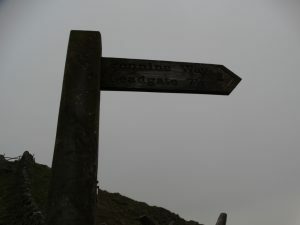 If this is the top, then surely it must be downhill all the way to Wallsend? 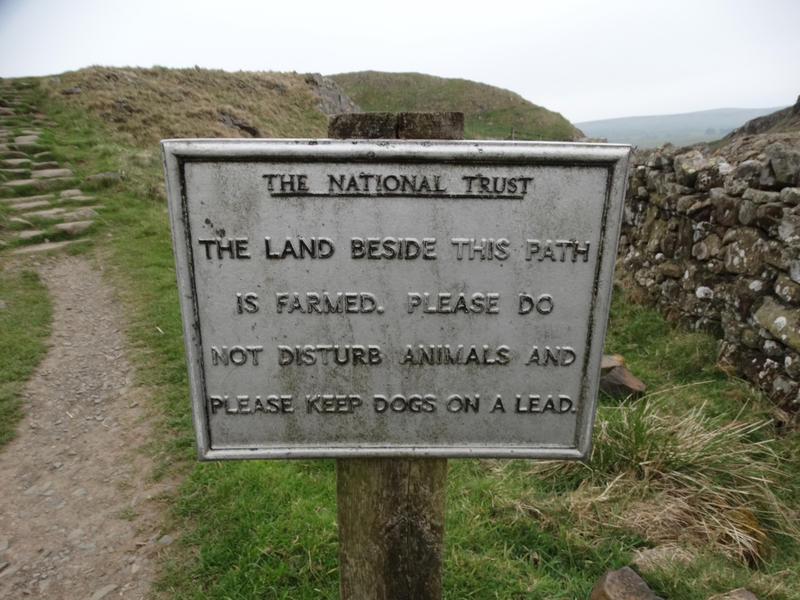 No … not even downhill to Steel Rigg. I have often parked here and walked to the viewpoint – if I find better photos, I’ll add them in later. 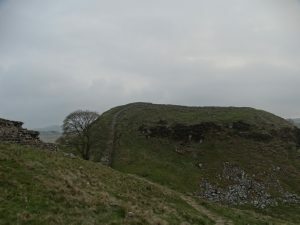 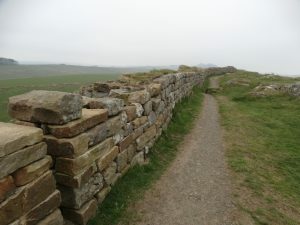 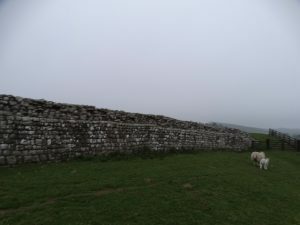 The Wall descends to Peel Gap, where there is an additional tower between two Turrets – presumably they couldn’t keep an eye on the Gap from the turrets. 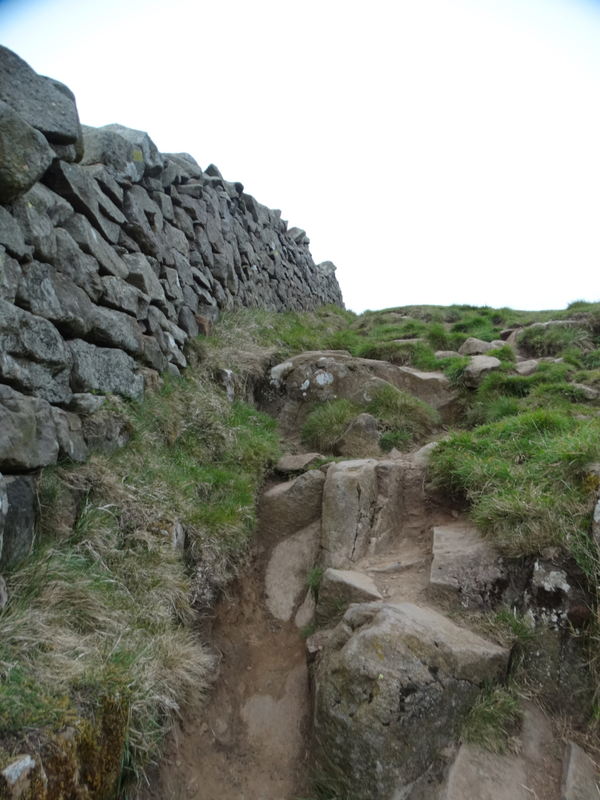 A steep climb up the other side. 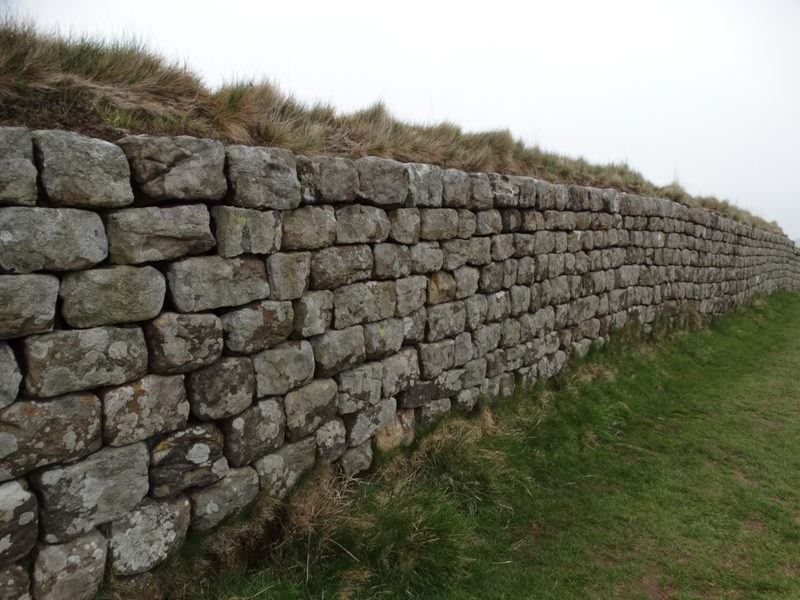 On we go – lovely to have the Wall to follow. 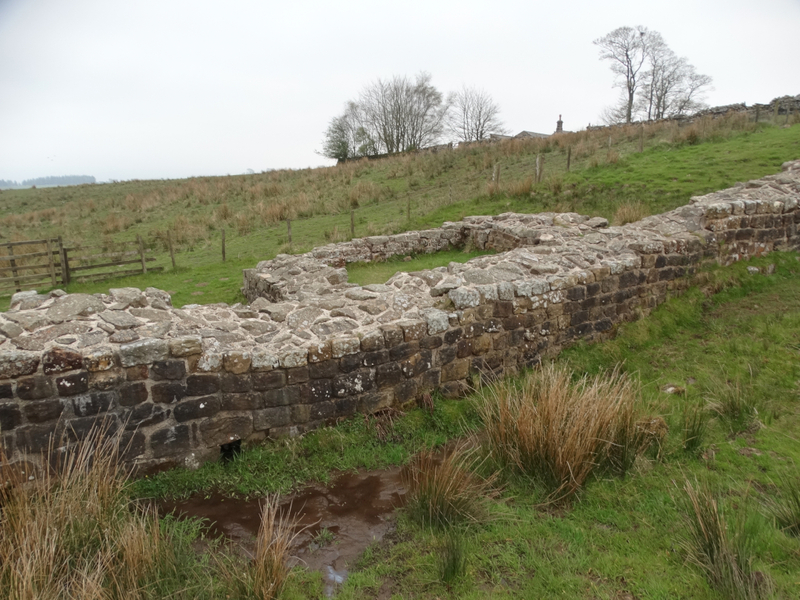 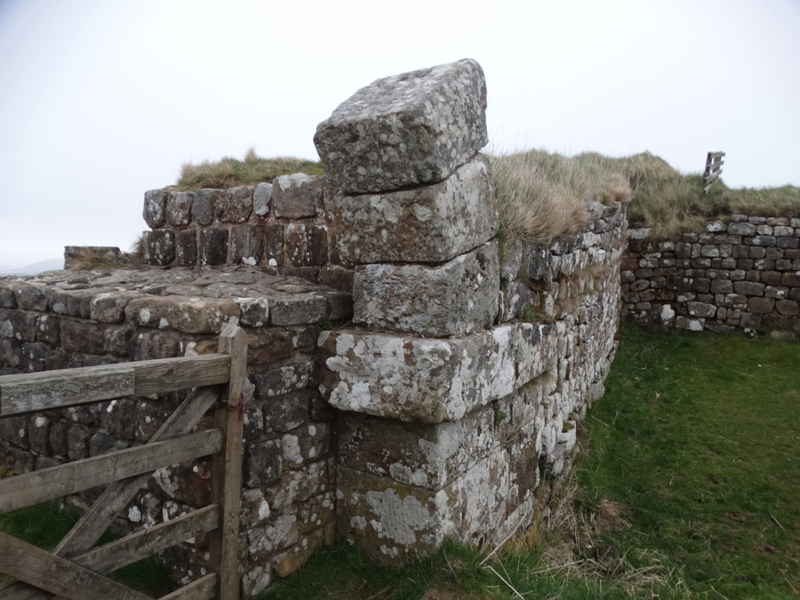 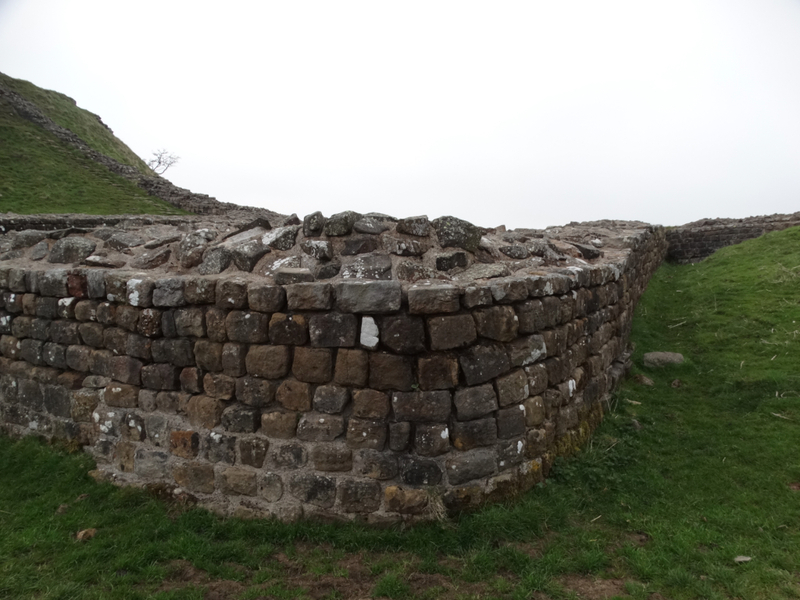 Milecastle 39 at Castle Nick is rather impressive. 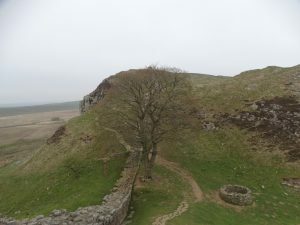 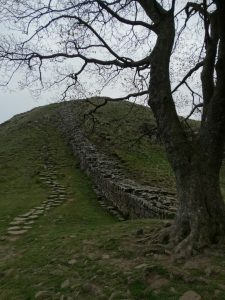 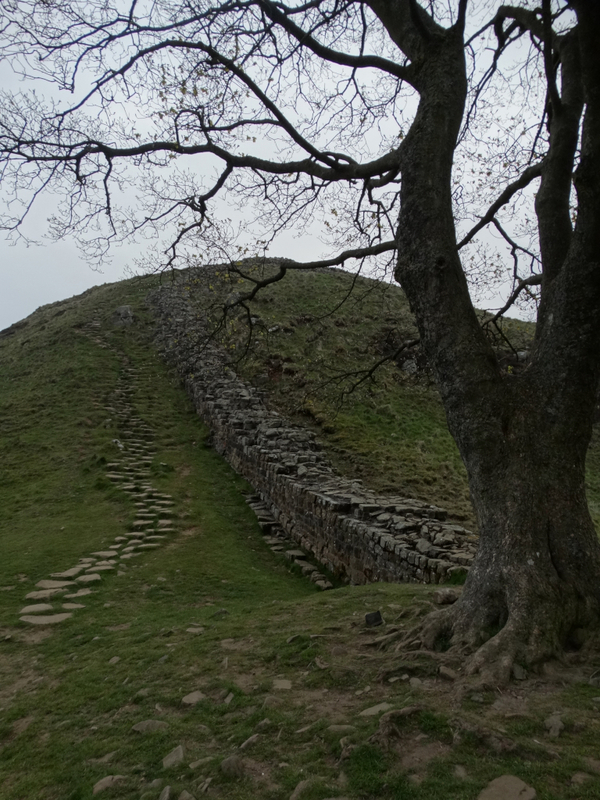 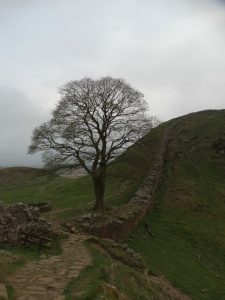 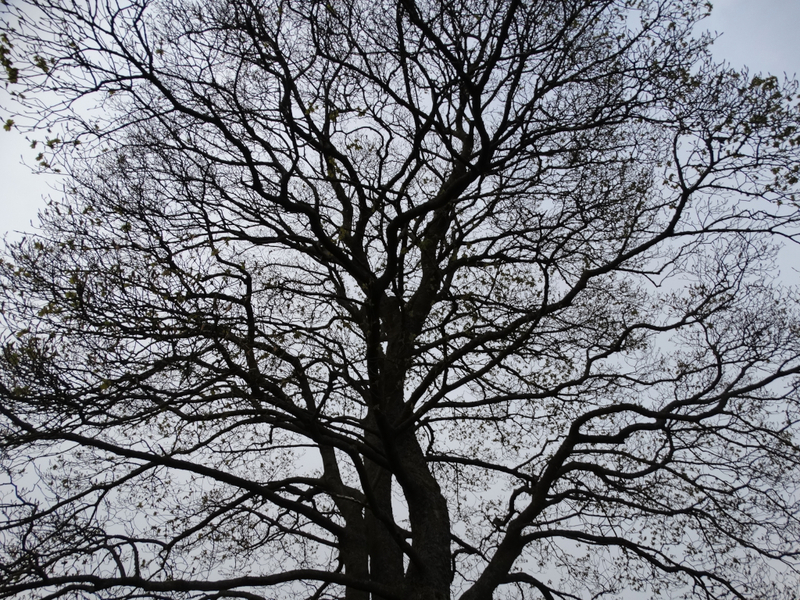 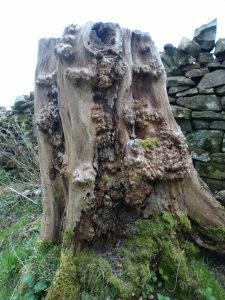 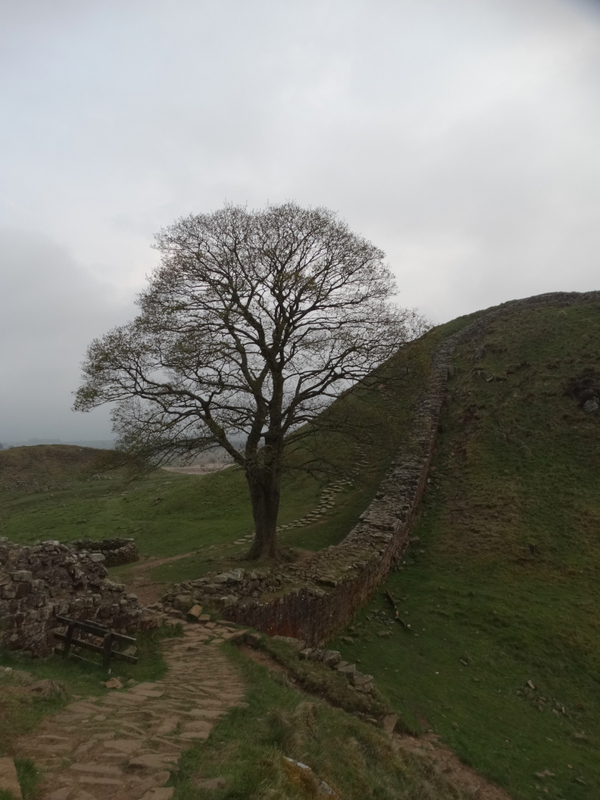 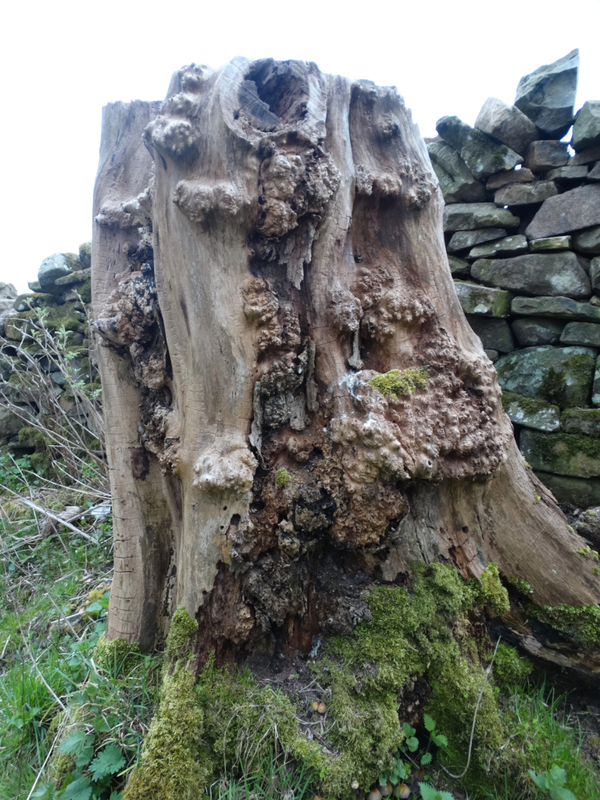 Next is Sycamore Gap – or actually, Sycamores Gap as they have planted a new one. 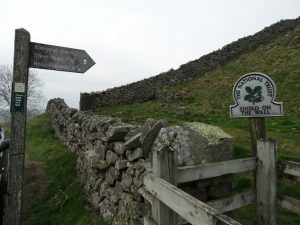 It is a very iconic emblem of Northumberland and there are some lovely photos on the web. 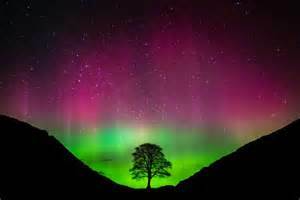 I found this one of the Northern Lights back in March – I was furious I missed them – but can’t find a photographer credited. 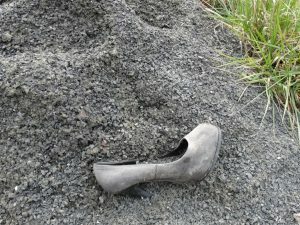 If it was you, please let me know and I hope you don’t mind me using it. 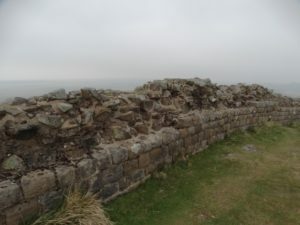 Apparently they have found a dump of pottery on the north side of the Wall which allow it to be dated to the later C2, and a coin horde of the 350s was found buried at the foot of the Wall. 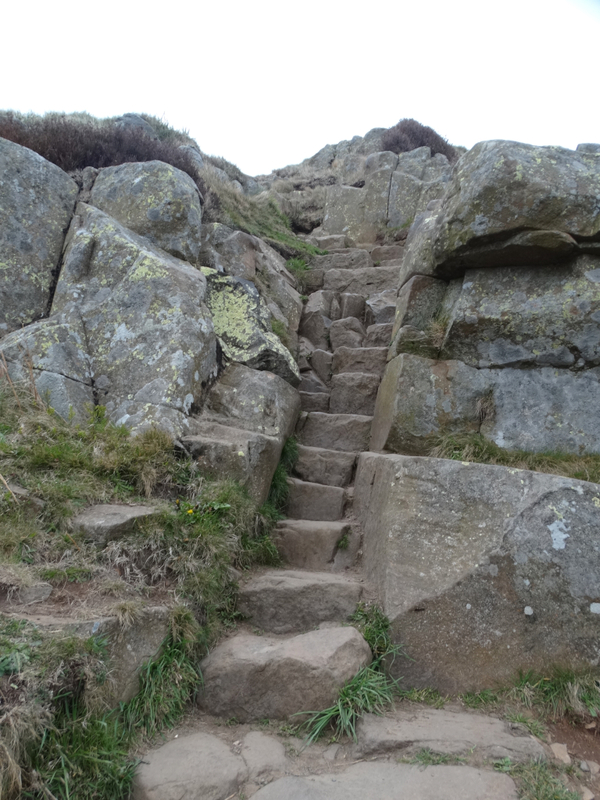 I walked up the other side, and it is quite a climb. 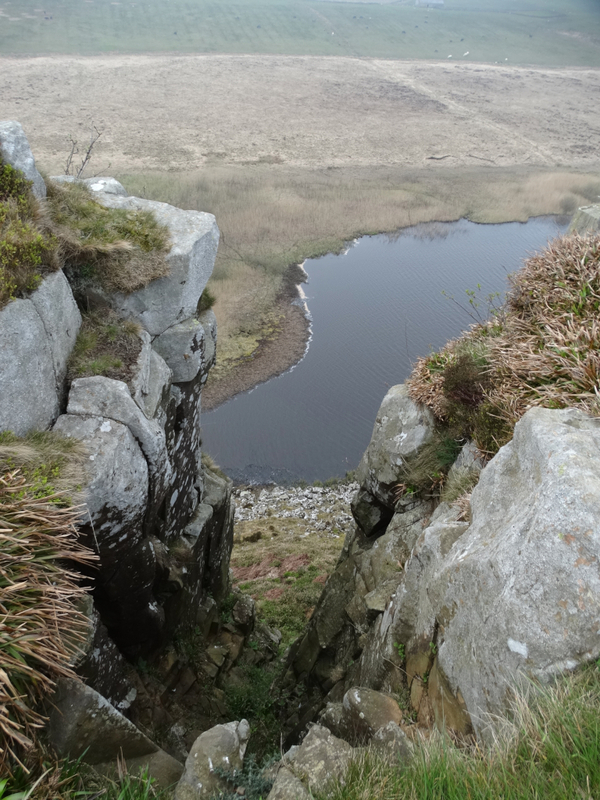 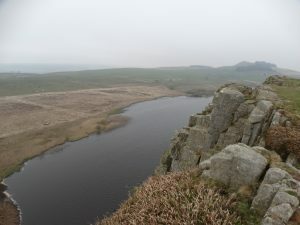 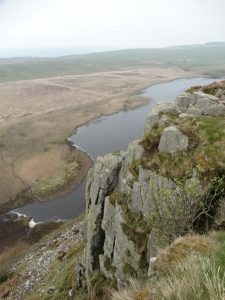 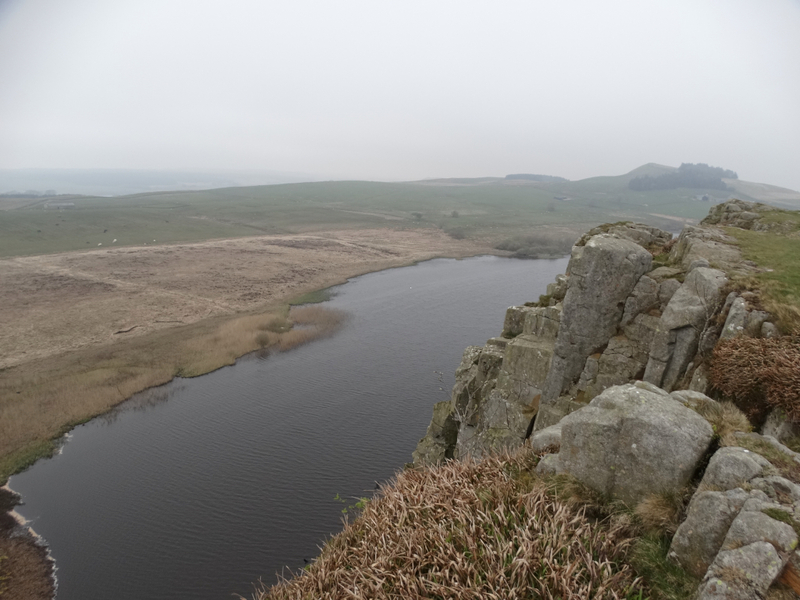 The path runs along the top of Crag Lough, and it is quite a view down to the lake. 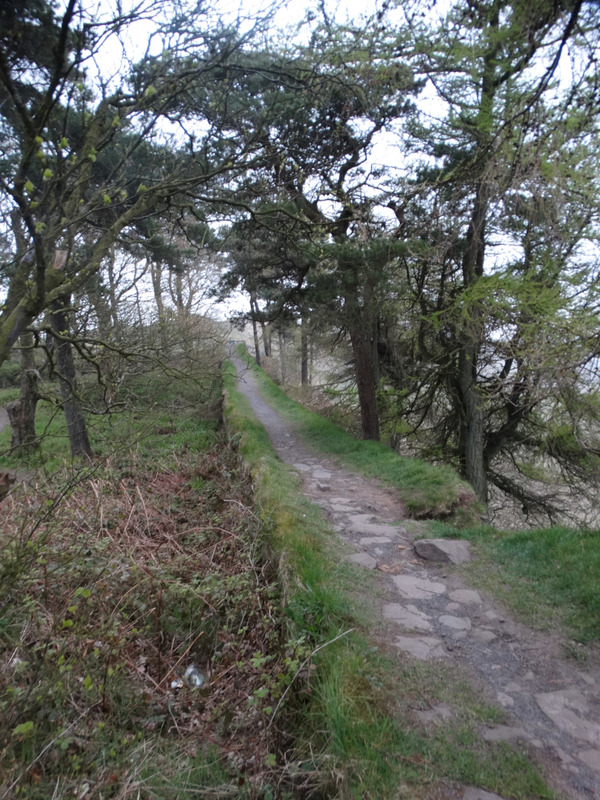 Then the path runs through a wooded area, with some lovely trees. 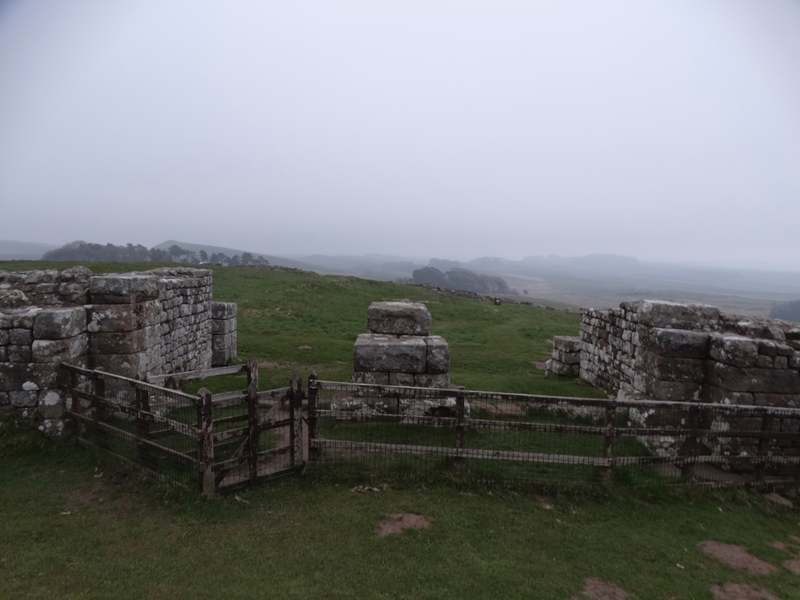 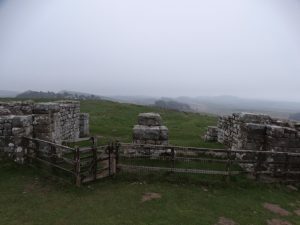 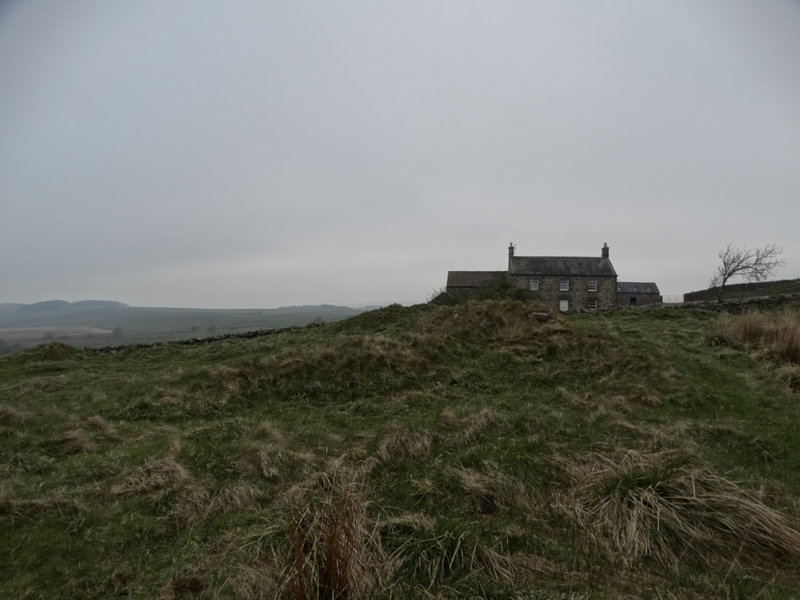 Milecastle 38 (Hotbank – not that it was very hot as I walked through) – was excavated in 1935. It produced two inscriptions recording building by the Second Legion under Governor A. Platorius Nepos for the Emperor Hadrian, therefore within the years 122 to 126. Red paint survives in the letters of one inscription. Now the path goes round it. 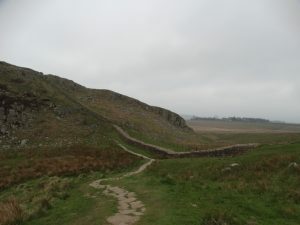 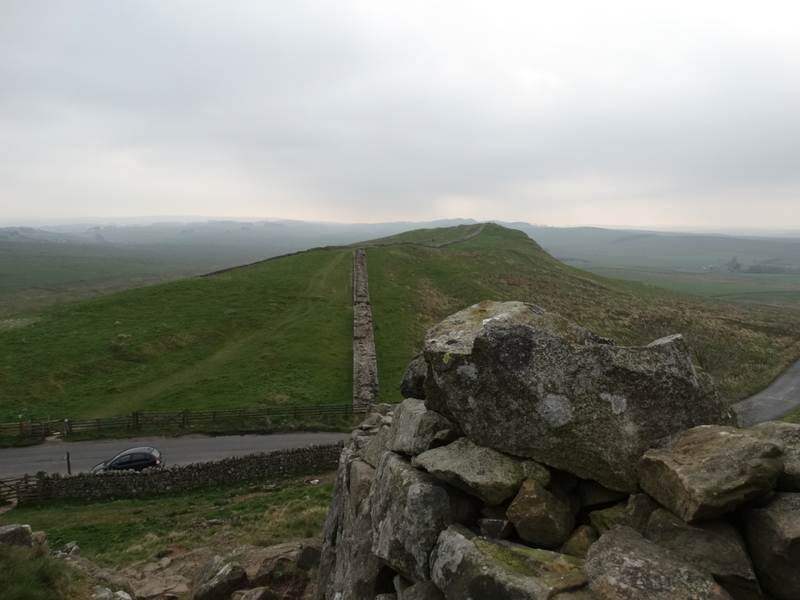 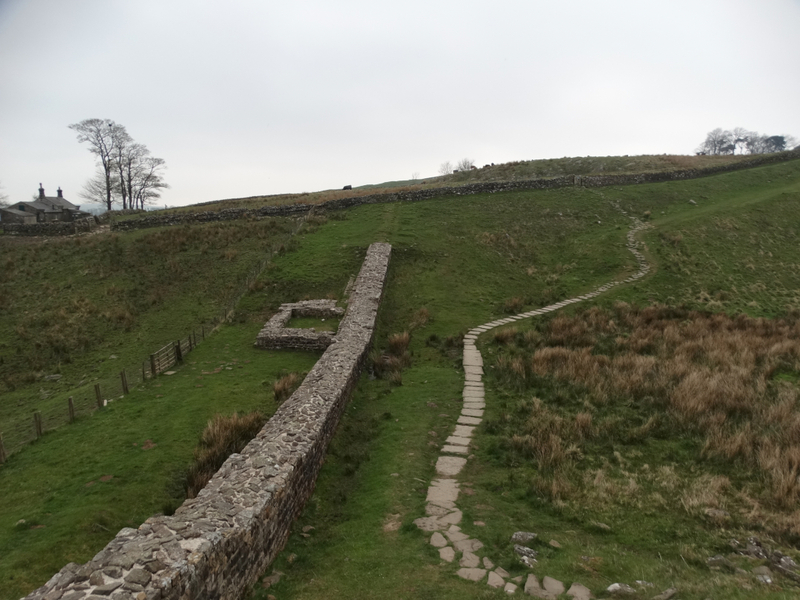 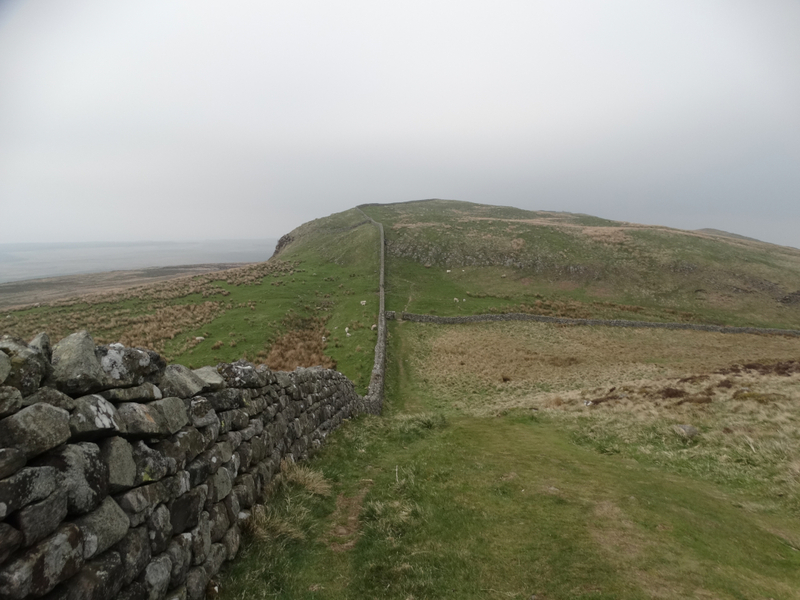 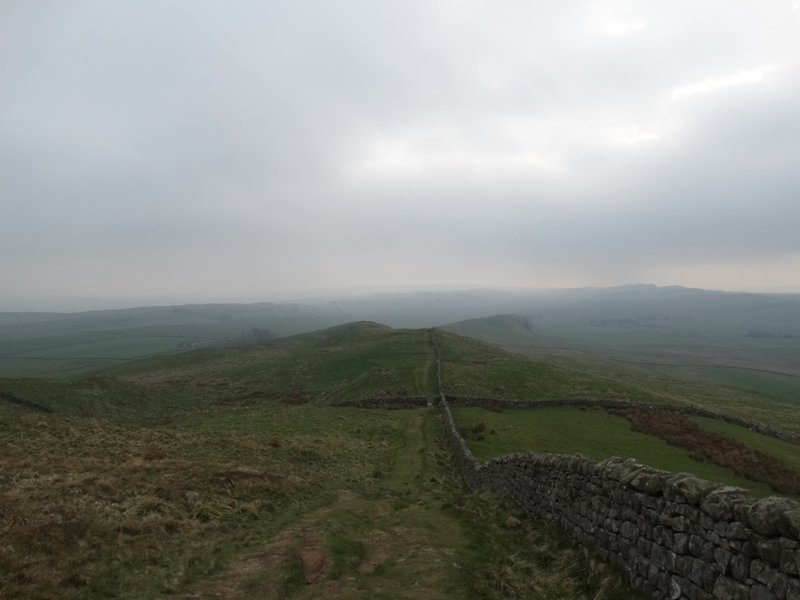 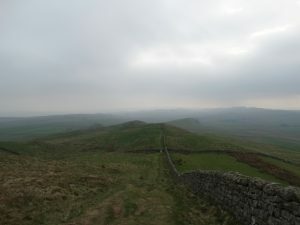 There is a slightly easier path south of the Wall, then the Pennine Way heads north. 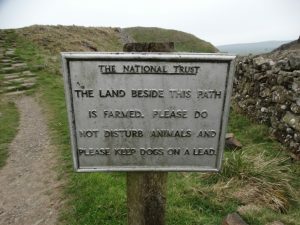 Shall I do that when I finish the Wall trail? 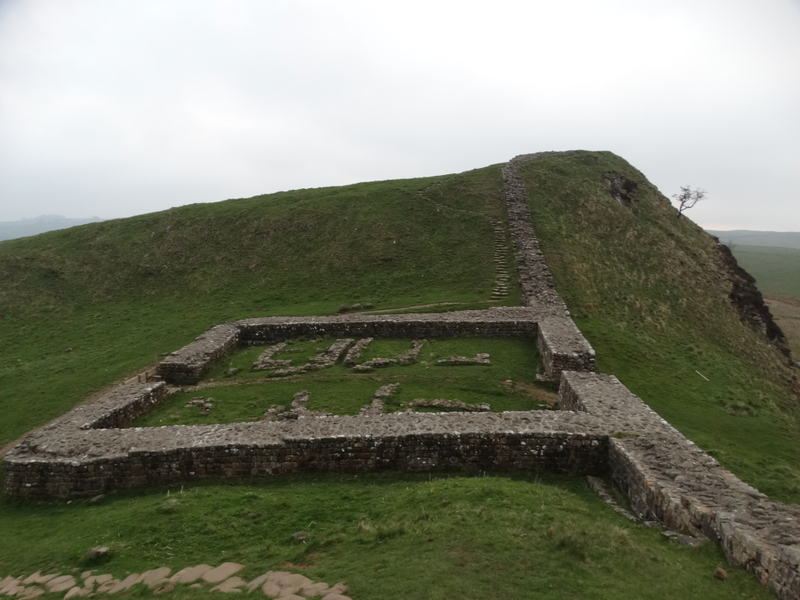 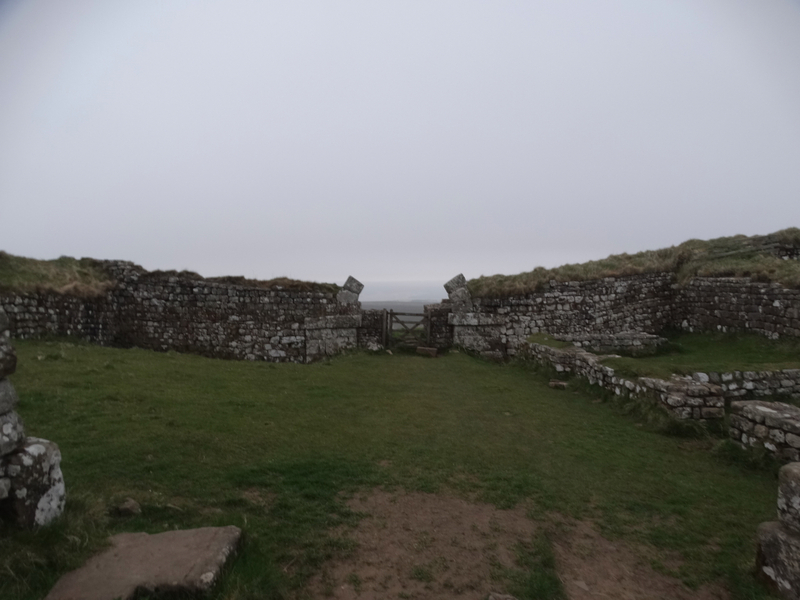 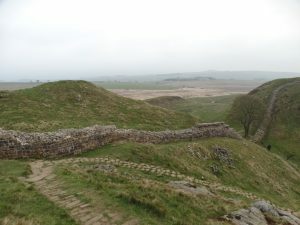 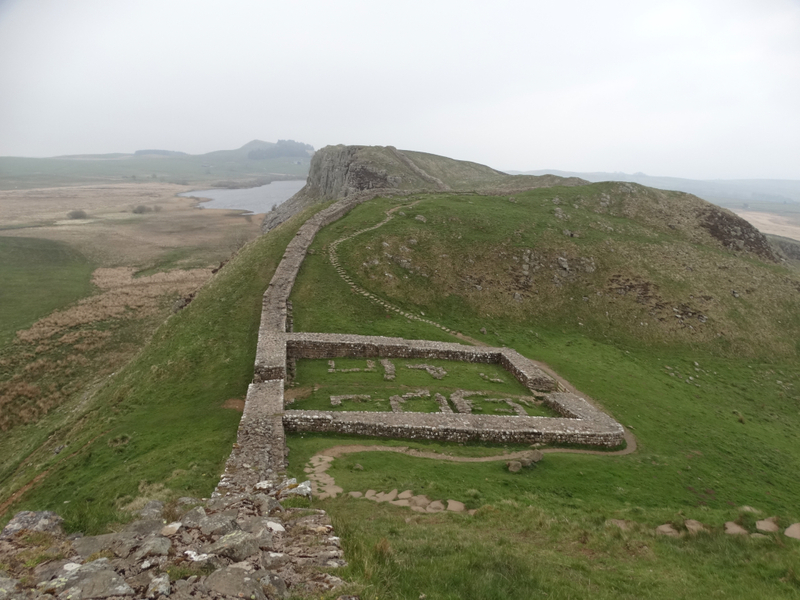 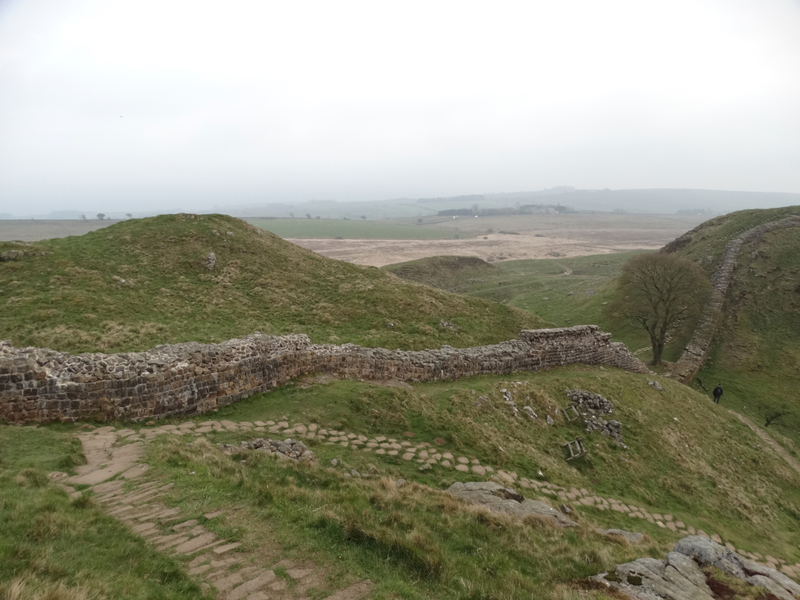 Milecastle 37 is quite impressive. 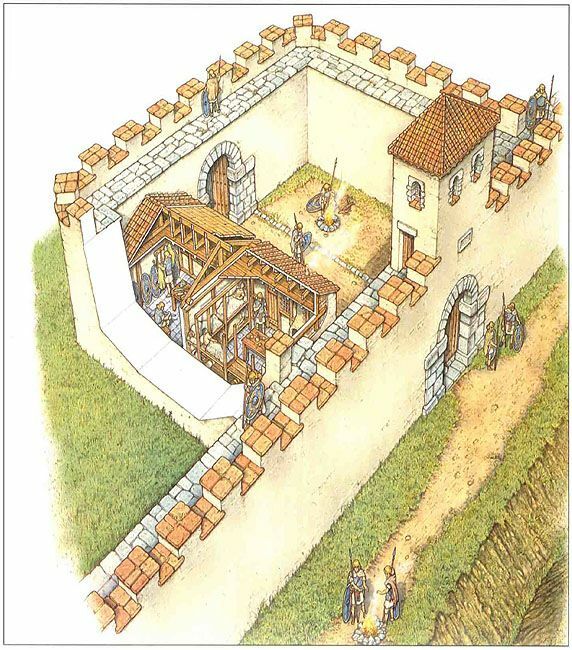 It stands 50 yards to the west of its measured position, probably so it could maintain contact with Barcombe Hill, through which observation tower communication was afforded with the fort at Vindolanda. 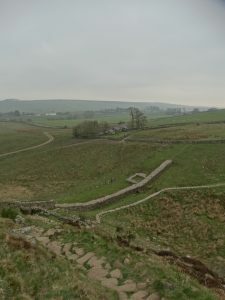 You can see where north gate was built to receive the Broad Wall, but to east and west the Wall tapers to narrow gauge. The Wall must have been 15 feet hight. 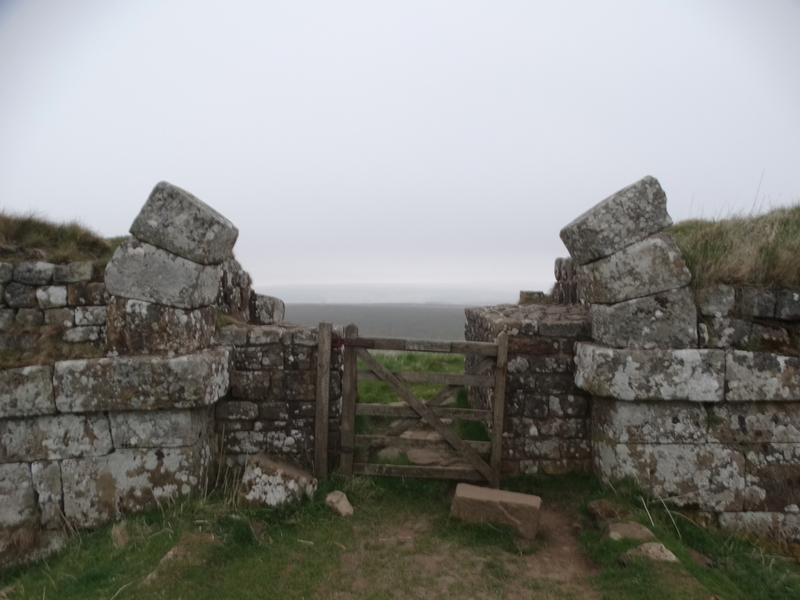 It does make you wonder why they built this gate when the landscape is so difficult to the north. 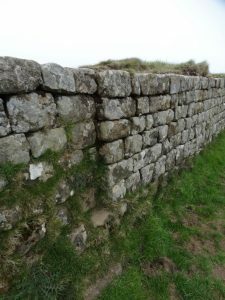 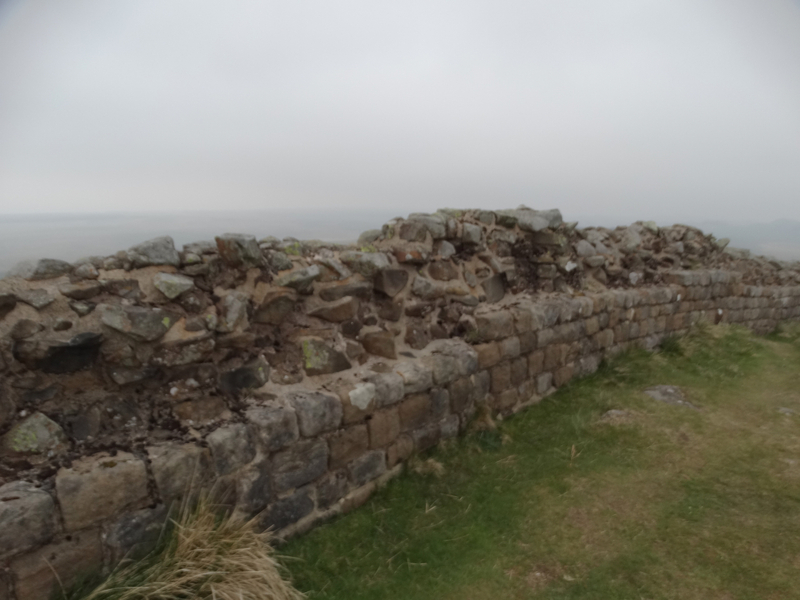 You can see the barrack blocks in the milecastle itself, and imagine what it must have been like to have been stationed here. 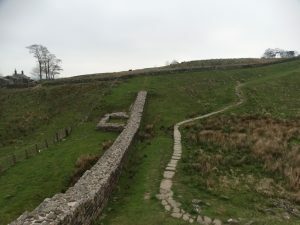 The Wall and the path then enter a wood which brings us up to Housesteads. 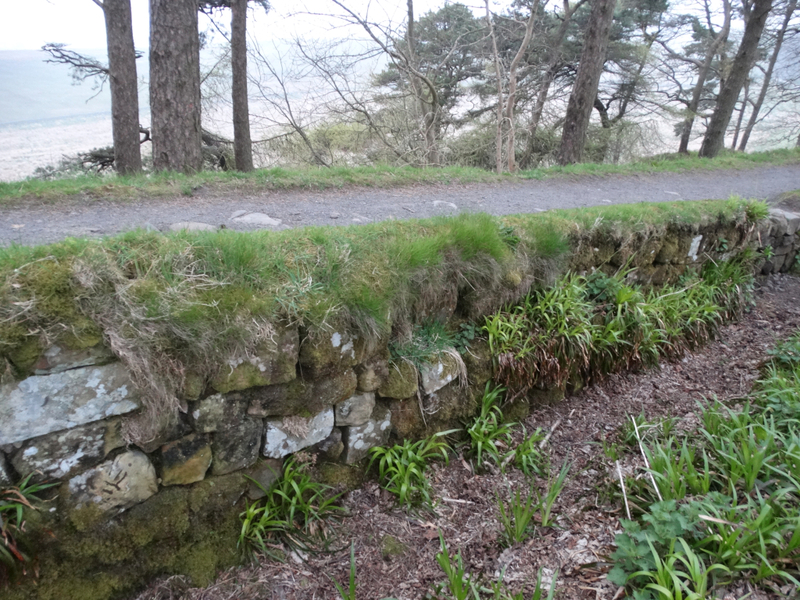 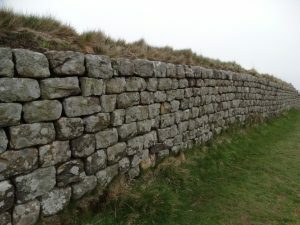 This is the one bit where you are allowed to walk on the Wall – I didn’t. 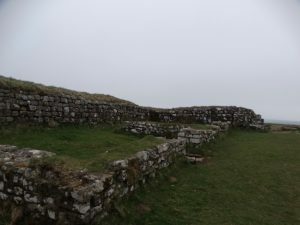 Here is Housesteads. I walked down the side of the fort – I’ll come back and do a proper exploration (or find the photos I took on previous visits). 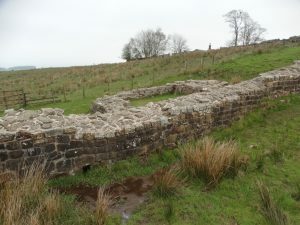 Here is their website. 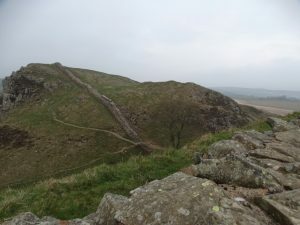 It is a bit of a walk down from the Fort to the car park, but I was pleased my transport was waiting. 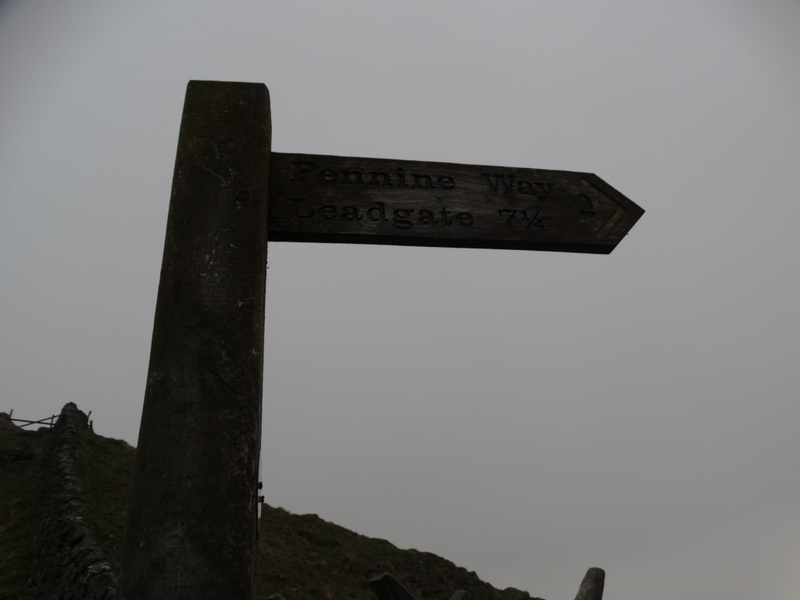 Only 5.4 miles, but a lot of up and down!